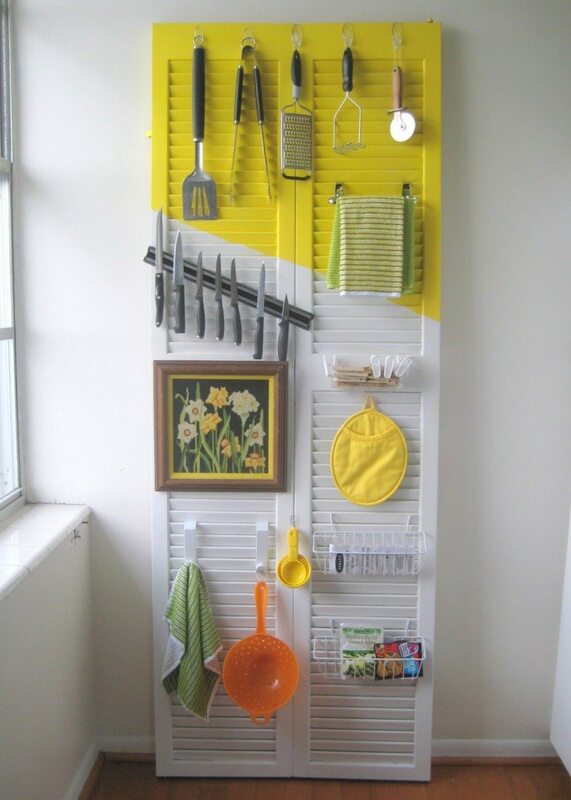 Finding a place to store all of your kitchen utensils in a place where they are easily accessible can sometimes be difficult. Jamie, from C.R.A.F.T, came up with a unique way to store her kitchen utensils. She used a louvered door! Not only does the door store her utensils, but it also makes a decorative statement in the kitchen. To see the complete tutorial of how she completed this project, click HERE.